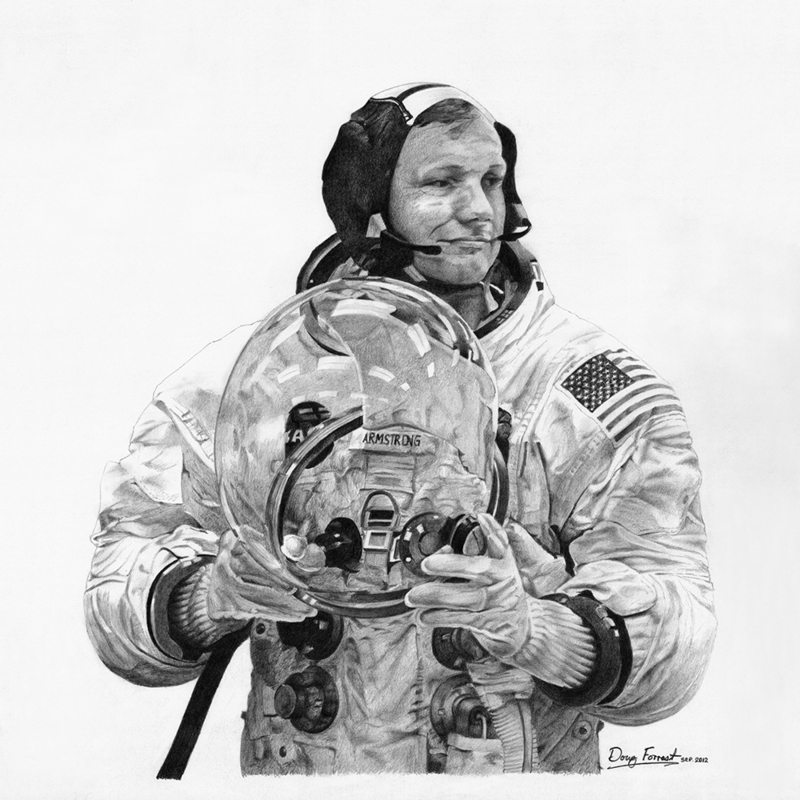 Graphite pencil on paper – I received a phone call from a friend in Florida to tell me that Neil Armstrong had passed away. I never met him, but wished I had. I started this drawing on that day from one of my favorite images of him, as he suited up.